Explore Woodruff Lake homes for sale with your Simpsonville real estate experts – the RE/MAX Moves team. Woodruff Lake is a charming neighborhood with a mix of beautiful vinyl and traditional brick homes. With just over 130 homes in the community, Woodruff Lake offers a tight-knit atmosphere that you'll love calling home. And with the neighborhood's lakes and paved trails, it's easy to see why real estate in Woodruff Lake doesn't stay on the market for very long. Are you ready to begin your Woodruff Lake real estate search? 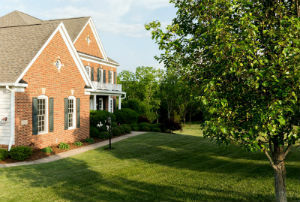 Browse the neighborhood's listings below or other Simpsonville communities. Or keep reading about Woodruff Lake. Don't forget to register with us to have access to advanced search tools and to be notified when a home that suits your needs comes available. Woodruff Lake real estate is made up of gorgeous single family homes near the popular Five Forks area. Homes for sale in this neighborhood are affordable and offer striking curb appeal. Inside, you'll find exceptional details that really add to the charm of the properties. From sophisticated wainscoting to formal dining and living rooms to granite countertops, these residences appeal to buyers looking for a home with traditional Southern details. Many residents of Woodruff Lake enjoy the neighborhood's available amenities. Tennis courts, swimming pool, and a clubhouse are only some of the conveniences this community has to offer. Additionally, the lakes in Woodruff Lake offer idyllic water views to homeowners. Don't wait any longer to invest in Woodruff Lake real estate. Get in touch with our team at RE/MAX Moves to schedule a viewing today.